Our team of expert bakers, along with Head Baker Jason Jobling, have been working hard during the year to pull together luxurious craft products to help us all truly celebrate Christmas. Introducing our Turkey Feast Pasty, filled with succulent turkey breast, tart cranberry sauce with sage & onion stuffing, topped with a traditional glaze and a sage & onion stuffing crumb. Available in store or buy online here. For those wanting a festive vegetarian lunch, we are happy to introduce the Vegan Winter Root Veg Pasty, with seasoned parsnips, carrots, beetroot, leeks and sage & onion stuffing. Our unique Mince Pie & Custard Pasty is back, made with rough puff pastry, filled with specially selected mincemeat and a vanilla custard, crimped by hand, glazed and topped with a cinnamon and sugar blend for extra crunch. It is the perfect mid-shopping, festive pick-me-up! Our luxury mincemeat has 1% brandy added and is matured for at least six months to create a delicious, moist and fruit filling for our special sweet pastry. Our mince pies are then deep filled and the sweet crumbly pastry top is dusted with caster sugar for a little Christmas crunch. 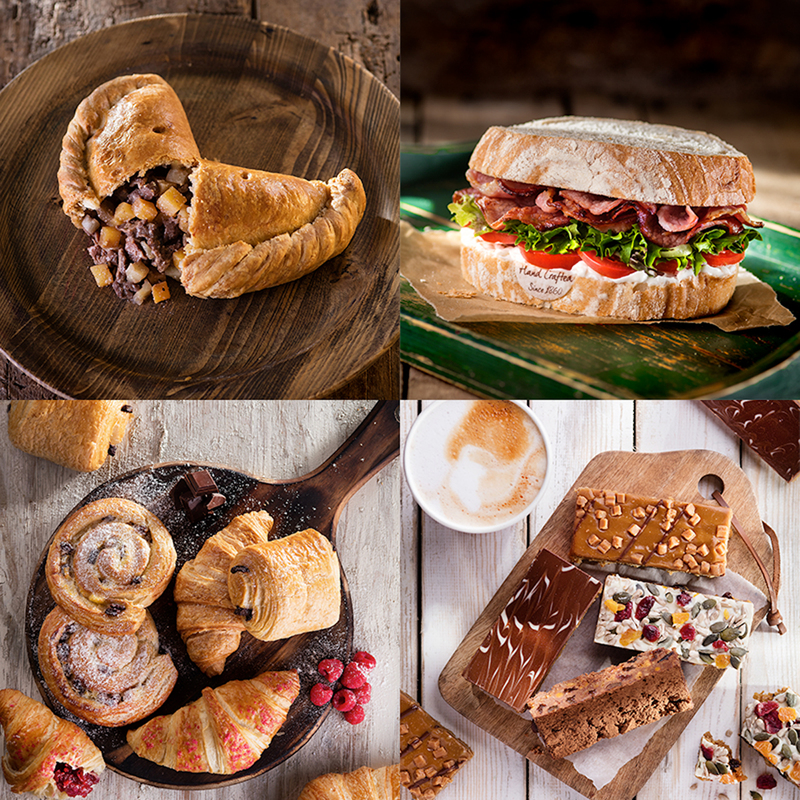 We have been adding to our tray bake collection since the beginning of Autumn and what better way to re-energise during the busy Christmas period than with a relaxing hot drink and a slice of cake? Of course, Christmas wouldn’t be Christmas without a little magic, so head to your local Warrens Bakery to see the other festive surprises we have in store for you.